Note that there is a difference between the MSI installed version or the Office365 version. The MSI version only contains WordApi 1.1. according to the specifications. So, what do we see here? First observation is that cross platform now means that besides the good old Windows system, additional clients are limited to: “Office Online”, “Office for iPad” and “Office 2016 for Mac”. None of the phone clients have support for add-ins. A second observation is that all other clients are more or less in par with each other. Only “Office 2013 for Windows” is limited to the DialogApi 1.1 and also none of the WordApis. It also does not support Add-in Commands. This makes you think if you should build your add-ins for Office 2013 or not at all. My guess is that the limitations on this platform are so significant that it would be better to only focus on Office 2016 and up. Third observation is the missing support for Add-in Commands on Office for iPad. I’m curious to know why this is the case. I thought the iPad also had something like the right click (press and hold for menu) but maybe not. I don’t own an iPad -darn, do I really need to buy one now- so I can’t check this at this time. Maybe these four APIs are just not logical to have in an “Office Online” environment, but that too is a wild guess as I don’t know yet what it is used for. I’m not sure yet where to go next. We now know what APIs are available for each of the Word Office clients, so I think the next step would be building a starter Add-in for Word 2016 for Windows. This client has the biggest set of APIs supported making me think that this is the best candidate to experiment on and later on see how this fans out to the other clients such as Word Online or the Apple options. Another year has gone, a new year started … this is 2016. Welcome! My year, for the eleventh time already, started with receiving the Microsoft Most Valuable Professional (MVP) Award again. After nine years of receiving the award for Visual Studio Tools for the Office System (VSTO), one year of Office365 I now, after the award update, received the award in the award category “Office Servers and Services”. This is where all former Office365, Exchange, SharePoint, Skype for Business and Yammer are grouped today. As of October 2015 the MVP Award categories have changed, there are now less categories and in theory you can get the MVP Award in multiple categories. So what will bring 2016 to you and me? Well nobody knows… so I don’t know either, but let’s see if we can make some educated guesses here. 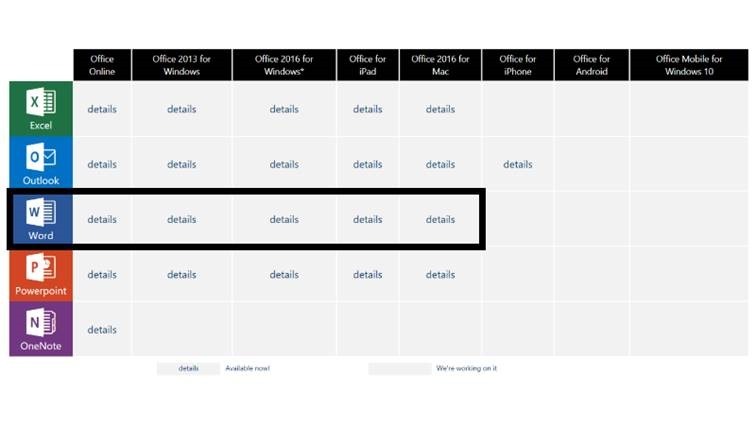 2015 was the year Office Microsoft released some early updates on the Office 365 APIs. Starting with the outer ring of Office365 we got access to files, contacts and much more. Access to the documents itself (the structure of the document, in VBA the Object Model) was fairly limited. In 2016 I expect to see much more APIs providing access to the Office document model. This will give you the functionality, but now cross-platform, like you used to see with VBA, COM-Addins and in VSTA/VSTO solutions. Office JS Public Preview is here! Up to now the development of this was happening behind the screen, not available for the general public. At first with little snippets, test scenarios and try-outs to find the best way to work with this, not only on Windows platforms but also the other platforms like iOS or Android. 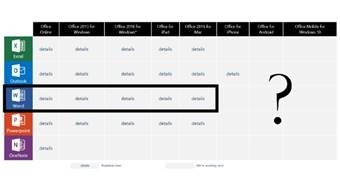 Until now the Office JS API’s were mostly limited to Office365 interfaces but not targeting file content. This now is changed, at least for the first and still somewhat limited version. What this means is that you now get the option to actually interact with the file contents. For now only on Excel en Word and only for a small subset of the Object Model as you know it from VBA and/or VSTO, but it is a start. I will go into some more detail in future blog posts. Hopefully a start to get the full object model available but now on multiple platforms! Want to upgrade but what version of Office am I using? Now Office 2016 is available you want to upgrade, but you are not sure what version of Office you are currently running. In my blog post yesterday I already provided a couple of links where to go if you upgrade from Office365 Personal/Home or Business. But to do so you need to know what is installed on your machine today. Now identify your version and upgrade to the right edition. There is a lot worth mentioning about this version. 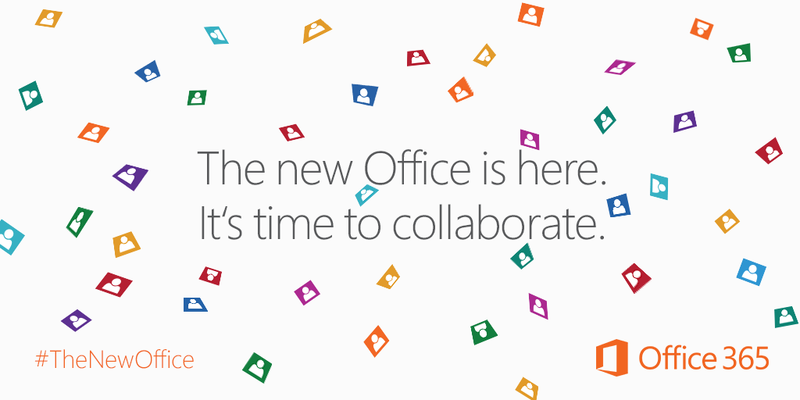 It now has the option to collaborate, work together in one (or more) documents at the same time. You see little markers appear when the other is editing parts of the document you are working on. Try it! Go download the bits, and start working with it. Another Office Milestone … enjoy!